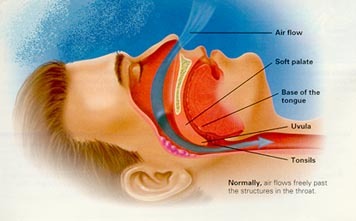 You are here: Home / science of sleep / Don’t forget to do something about your snoring.. While I’m the first to bemoan the impacts of my husband’s snoring on my sleep, I am also aware that snoring is a health risk for those predisposed to the condition. Recent research from the NYU Langone Medical Center has found that heavy snoring may be linked to memory loss and cognitive decline. Unfortunately, these findings follow on from a growing list of risks associated with snoring – increased chance of heart attack, stroke, and cancer. While keeping a partner awake is an unfortunate by-product of snoring, if you are a snorer, or in a relationship with one, it might be a good idea to look into steps that can be taken to mitigate the health risk. Your health should be a priority and a good night’s sleep is such a vital part of staying healthy. What are you doing to sleep well each night? I do believe that there are items / devices out there that can help with stopping snoring. I did comment on another post of yours, but I find that a spouse could use ear phones with a Spotify sleep playlist to help drown out the snoring.